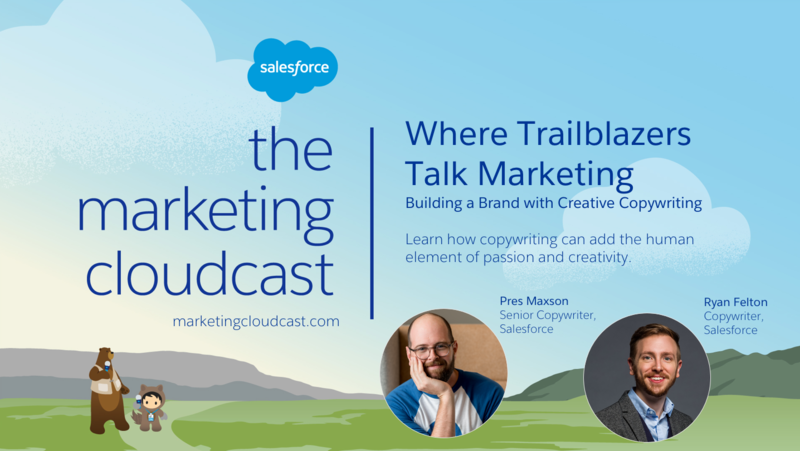 On the Marketing Cloudcast this week, we’ll look at how you can use copywriting to creatively break boundaries while building a brand. We talk to Pres Maxson and Ryan Felton, our lead copywriters at Salesforce, to learn about voice, tone, guidelines, messaging, collaborating on integrated teams, and working with feedback. Tune into the full conversation and subscribe on Apple Podcasts, Google Play Music, Stitcher, or wherever you listen to podcasts. Reach out and let us know if you have an interesting topic for the Marketing Cloudcast. Here are some highlights from the episode. “No matter the medium, first, you have to be interesting or else no one's going to read it,” Pres says, “and second, you have to be clear.” You need to make your writing as concise as possible before you even think about being clever. For Ryan, it’s about knowing the rules before you try to break them: “Get very familiar with the brand guidelines, know them inside and out, and do a lot of work completely within those brand guidelines.” Once you’ve mastered working within that context with control and style you can start to expand what you’re doing. 4. What Makes a Trailblazer? Ryan and Pres spend all day thinking and writing about marketing Trailblazers, so what have they noticed that ties them together? For Ryan, it’s all about positivity: “I’ve never heard, ‘Oh my God! 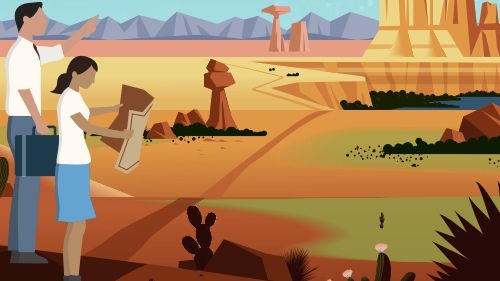 How are we going to pull this off?’ come out of the mouth of anyone who's done really cool things in this industry or the other industries that we talk about as a company.” Trailblazers have the ability to look beyond perceived limitations and use their passion to drive innovation, creativity, and change. 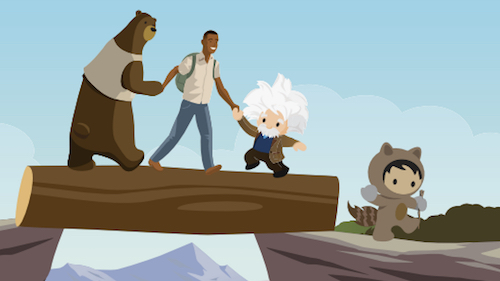 Speaking of Trailblazers … we’re hosting Salesforce Connections in Chicago on June 12–14. Join us for three days of learning and transformation. Get inspired by Trailblazers who are driving innovations in digital marketing, commerce, and service across all industries. Hear more on the full episode of the Marketing Cloudcast. Join the thousands of Trailblazers who are Cloudcast subscribers on Apple Podcasts, Google Play Music, Stitcher, or Overcast.